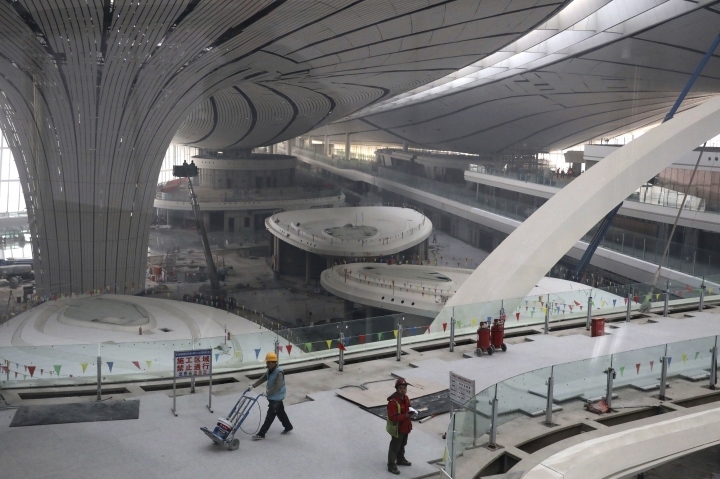 BEIJING — Construction of a new airport in China's capital that promises to be one of the largest in the world is speeding toward completion. 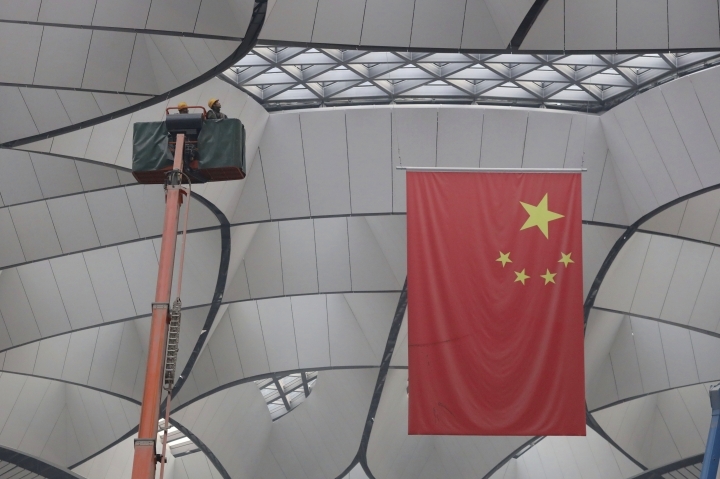 Construction of the Beijing Daxing International Airport is slated to finish in late June, project manager Li Jianhua told reporters at the site Friday. It is to open at the end of September — less than five years after building began. 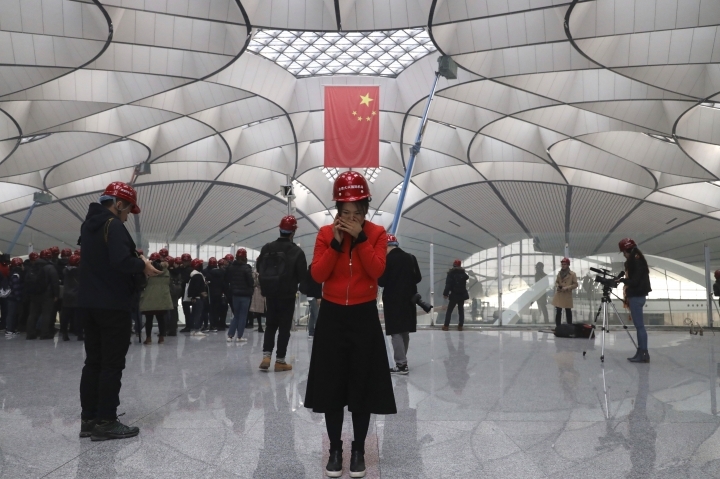 Situated in the city's south, the airport will serve 200 million people from 28 cities in and around Beijing, Tianjin and the northern province of Hebei, according to Beijing authorities. The terminal building's size of 1.03 million square meters (11.08 million square feet) will make it the largest single airport terminal in the world. Li said the airport's size won't impede travelers from walking through it efficiently. The farthest distance between the terminal and any given boarding gate will be 600 meters (1,970 feet), or an eight-minute walk. 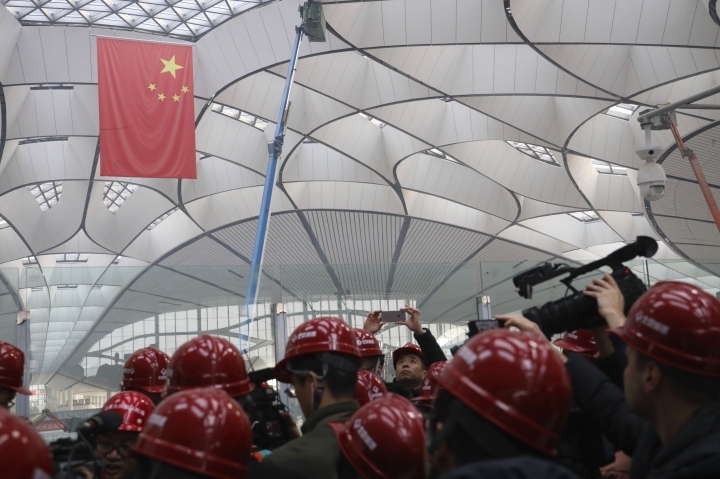 The Daxing project is meant to alleviate some of the stress on Beijing Capital International Airport, the world's second-busiest airport in 2018 after Hartsfield-Jackson Atlanta International Airport.